Raindrops gave birth to 12 perfect little cuties. 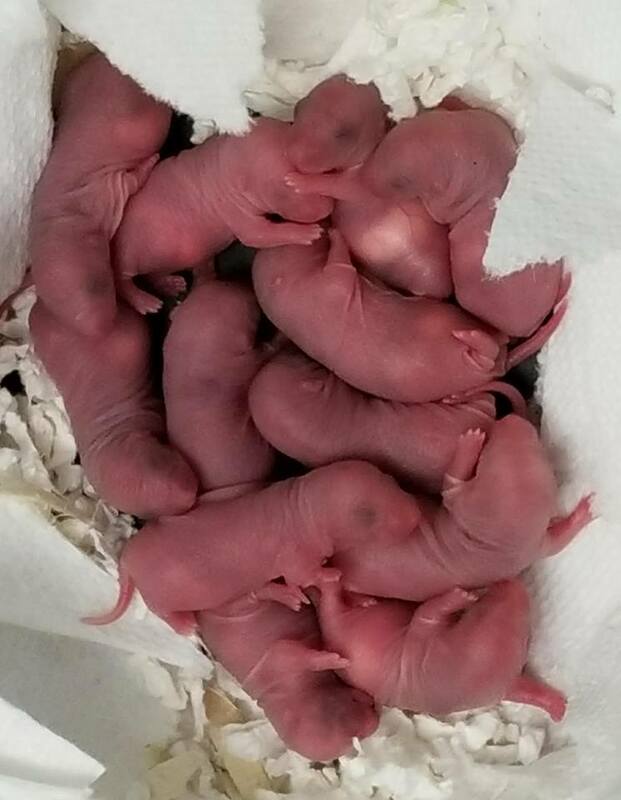 There are 6 boys and 6 girls in this litter. Mom is being a terrific mother. Both parents carry roan and are rex, so we may see a few roan markings. 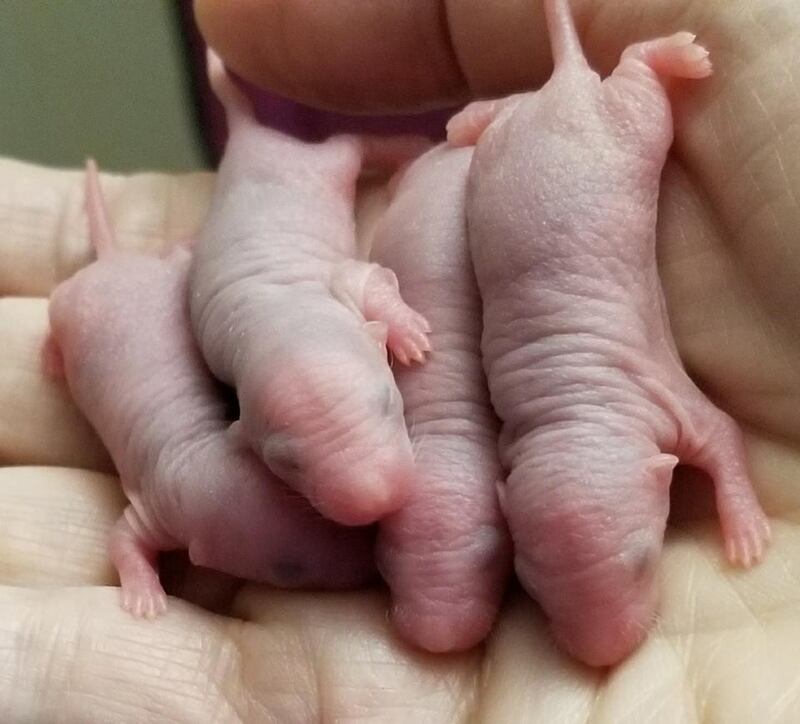 Many of the babies will also be rex or double rex, and all will be dumbo like mom and dad. The roan line is known for its exceptional sweetness and this litter should be no different. Individual pictures to come. On May 11, 2017 LASC/SITH Mabel (russian blue berkshire) gave birth to 11 beautiful babies sired by PNZY Foulard (russian blue variagated). Sadly, 2 were lost within 24 hours, but the remaining 9 are healthy and adorable. There are 6 boys and 3 girls in this litter. Mom and dad are both very sweet. Mabel is visiting from Abbotsford, BC, and I feel very lucky that her mom was able to part with her heart rat for a few months so Mabel could have this litter! There are seven adorable boys in this litter, born May 5th, 2017. This litter is all about outgoing personality. Mom is SITH/LASC Fiona (Russian Dove Berkshire) and dad is ROUS Yoshiki (Russian Blue Variagated Down Under), owned by our breeding partner, Rodents of Unusual Sweetness in Seattle. Babies are all Dumbo.